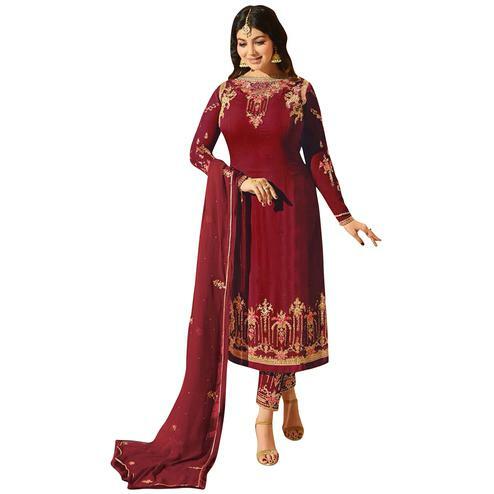 Add grace and charm for your look in this demanding red colored suit. This suit is made of faux georgette fabric which is beautified with embroidery on all over the dress along with collared neckline as shown. 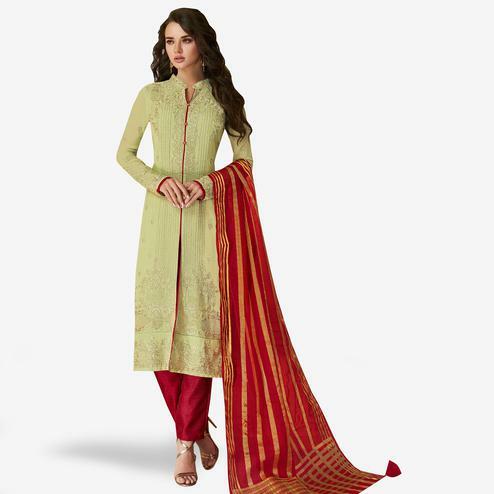 Comes along with matching color santoon bottom and inner paired with embroidered chiffon dupatta. Specially designed to wear for wedding functions, receptions, engagement ceremony and family occasions where you want to be center of attraction. Team it with lovely accessories to make your looks more beautiful. Buy this beautiful suit now.